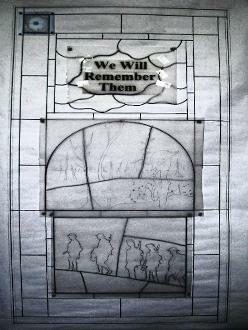 As part of Chipping Norton's commemoration of the beginning of the First World War see the-commemoration-of-the-centenary-of-world-war-1.php, we invited pupils from Chipping Norton School to submit designs for a permanent memorial to the Centenary. 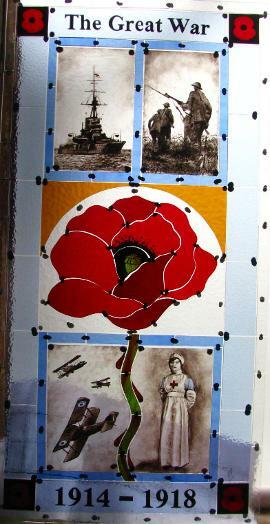 We had a great input of imaginative ideas, but not many that we could realistically transform into a working project. 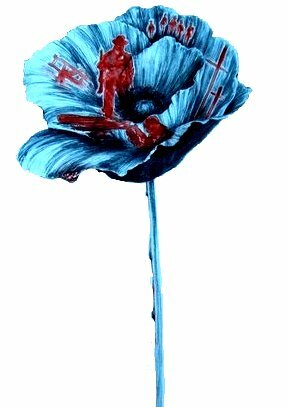 Branch Chairman Steve Kingsford and Mayor Mike Tysoe picked out several elements that they felt would together make a fitting remembrance to those who fell in the Great War, centering around a brilliant poppy design created by pupil Zoe Foster. 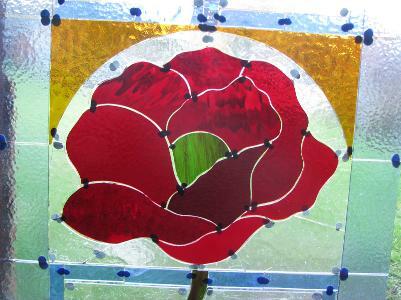 After considering the options it was decided that a stained glass window would be the best way to showcase the various designs in one format, based around the poppy drawing (above). 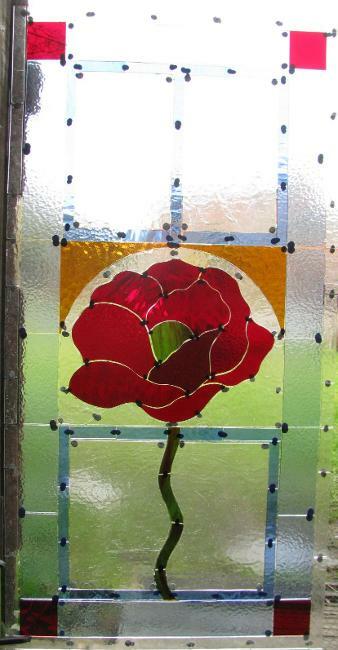 On consulting with experts in stained glass we were advised that it would not be able to replicate easily the images within the poppy's petals. Steve Kingsford then made a design deconstructing the images and adding a couple more (below) and using wording taken from a design by Georgia Juckes. 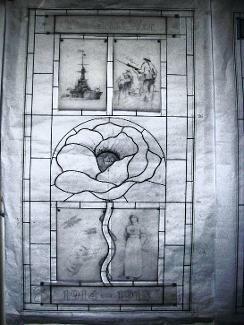 We took this design to stained glass artist Graham Brant who produced a further working sketch. Chipping Norton School's headmaster Simon Duffy had indicated that he had a space for the window and a site meeting convened. Mike, Steve and Graham met with Simon at the school and were shown the site. 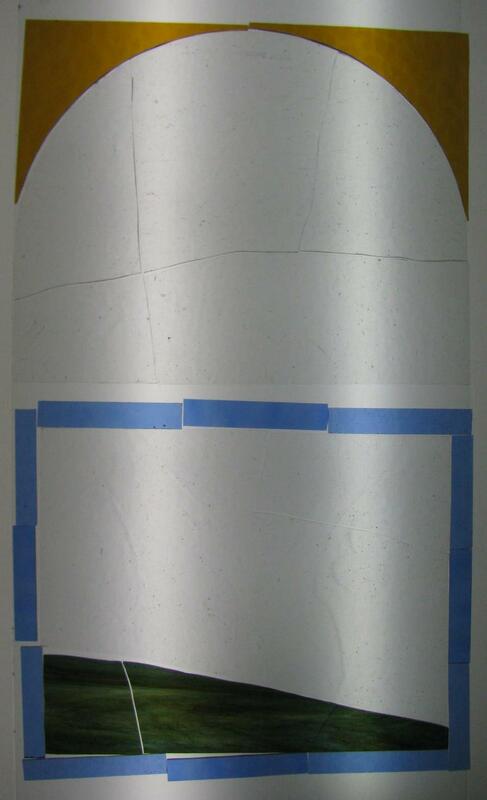 Simon indicated that he would like the two adjacent panels replaced with stained glass (below). 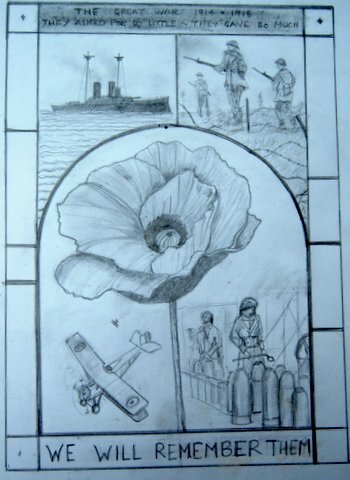 This was agreed and allowed us to incorporate some more of the pupils artwork from Beth Coombes into the finished design. 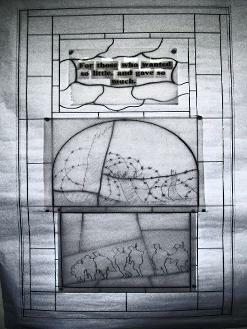 Work is under way in Graham's studio and the initial scale drawings have been made. 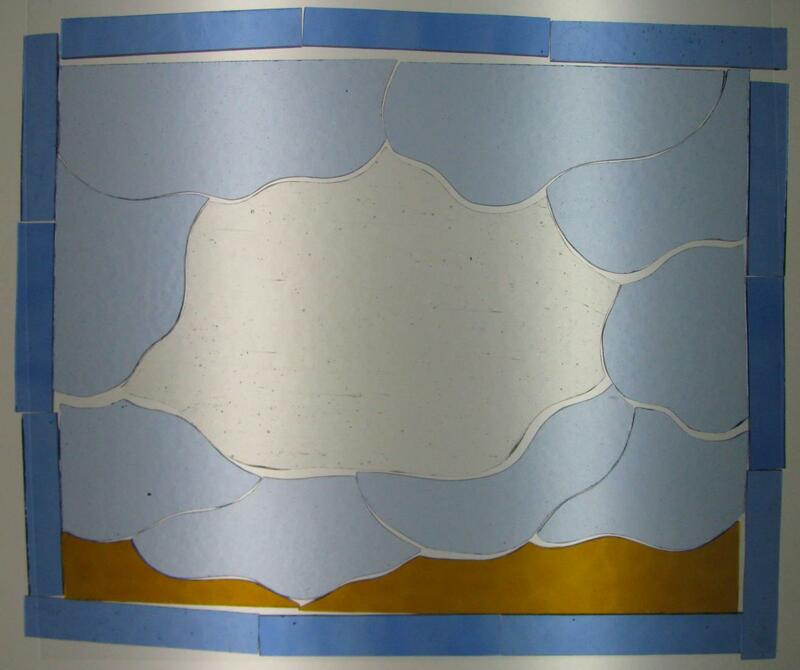 Work under progress on the stained glass panels, below. Grants and donations have already been received from West Oxfordshire District Council, Chipping Norton Royal British Legion, Chipping Norton Rotary Club and the Terra Sancta Chapter of the Freemasons, with the rest of the finances coming from the Town Council and the school. 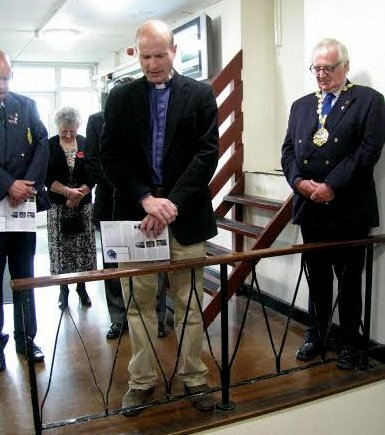 On Friday 5th June 2015 guests, including the Deputy Lieutenant of Oxfordshire David Astor, attended a ceremony to unveil a stained glass window to commemorate the Centenary of the First World War. 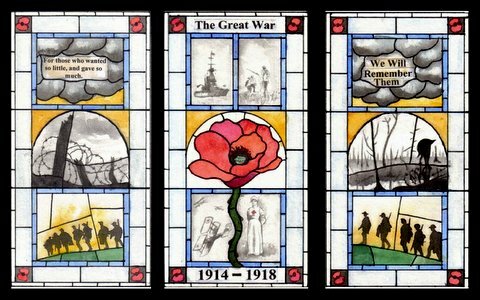 The outstanding stained glass windows are a very fitting memorial to the Great War and a celebration of community collaboration. 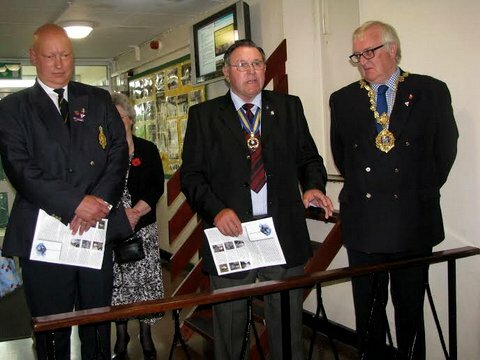 Headteacher Simon Duffy welcomed guests before the Mayor, Mike Tysoe talked about the background of the project before Legion branch Chairman Steve Kingsford, assisted by Zoe, unveiled the window. 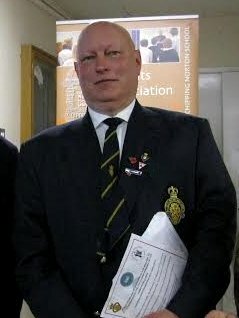 Neville Edwards, President of Chipping Norton RBL then said a few words praising the efforts of the students and the school before reciting the ode, “They shall not grow old….” and James Kennedy. Vicar of St Mary’s Parish Church blessed the window. The Mayor presented the three girls with book tokens before Simon Duffy brought the proceedings to a close.